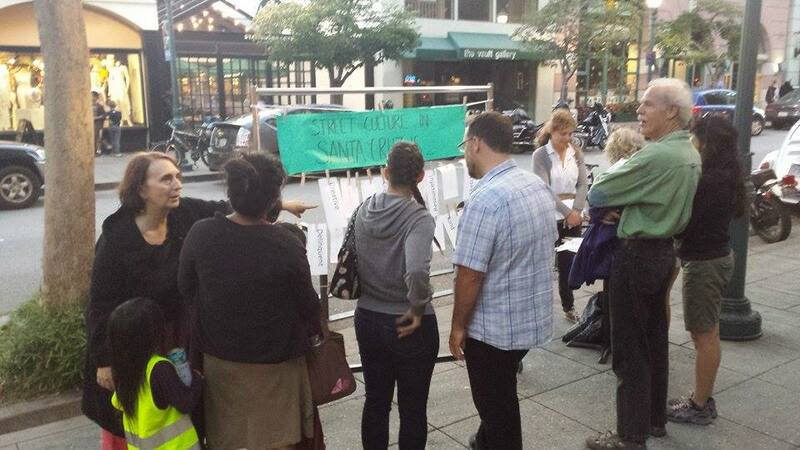 First Friday context positively influences participants perception of street dwellers. Positive perception of street dwellers. 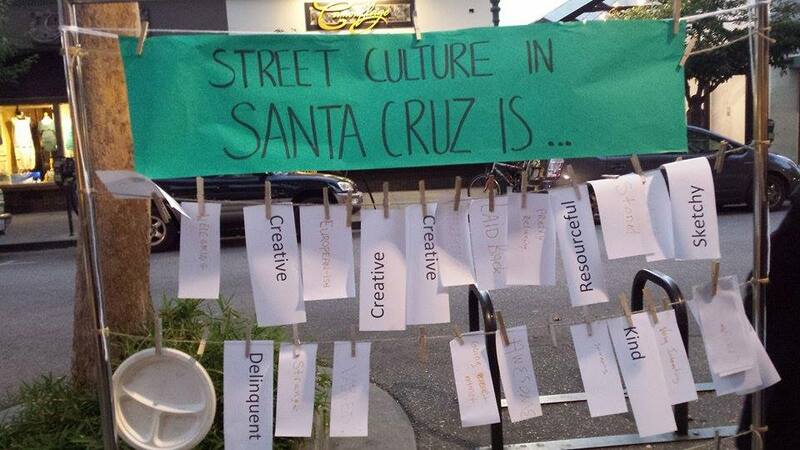 Through a comparison study based on a qualitative word choice exercise that measured positive words in response to the phrase "Street Culture in Santa Cruz is..." and through a quantitative observational study. These methods were executed on Thursday evening and on Friday evening during First Friday events. -We would require additional information in order to categorize answers from our participants. -Participants self selected the word choice activity which resulted in a non representative sample of First Friday art walkers. -People were intimidated/ motivated by the public nature of self reporting their comments. -That our method was not comprehensive enough to satisfy our hypothesis. -That our instruments yielded conflicting conclusions. We were surprised that:: -We created an instrument that yielded some pretty unusable data. - The attitudes were so positive about street culture.